After the corned beef brining experiment, I had plenty of corned beef left. Lots of corned beef. Which is a good thing, because I like it. And it lends itself well to leftovers, like Reuben sandwiches, corned beef on rye with mustard, and corned beef hash. And of course, if you're making those sandwiches, you need some rye bread, right? And then you need even more rye bread. This time, I decided to use Pumpernickel flour. Or at least that's what it was labeled. While there is such a thing as pumpernickel bread, the definition of pumpernickel flour is a little sketchy. Flour companies disagree on exactly what it's supposed to be, but in general it's a darker flour, and more coarsely ground. If you can't find pumpernickel, dark rye would be a good substitute. If you can't fine that, then any rye flour would suffice. I used both caraway and flax seeds for this recipe, but you could leave out the flax. If you don't like caraway, you could leave that out as well. I used this same recipe to make a loaf of bread and to make some flatbreads that I covered with Reuben leftovers - corned beef, sauerkraut, and cheese. I thought the Thousand Island dressing would be too messy to bake into my pizzas (?! ), so I passed that on the side as a condiment. 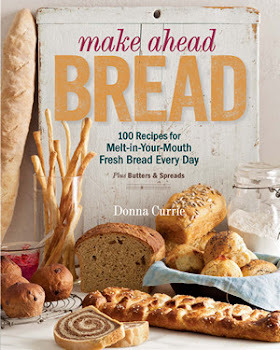 Place bread flour, rye flour, sugar, salt, yeast, and oil in the bowl of your food processor (fitted with the dough blade), and pulse several times to distribute the ingredients. With the processor running, add the water as fast as the flour will absorb it. Continue processing until the dough forms a ball, then an additional 30 seconds. Check the dough for elasticity. It will be a little sticky; don't worry about that. What you're looking for is gluten development. If you've used a coarsely-ground rye, it might tear if you attempt the windowpane test, but it should be stretchy. If the dough isn't properly elastic, continue processing in 30 second increments. If the dough begins to feel warm to the touch, stop processing, remove the lid. and let the dough cool down for a minute or two. When the dough is elastic, add the seeds and process until the seeds are evenly distributed. Remove the dough from the processor, drizzle with some additional olive oil, and place it in a bowl to rise. Cover the bowl with plastic wrap and set aside until the dough is doubled in size, about an hour. Preheat the oven to 350 degrees and sprinkle some cornmeal on a baking sheet. Dust your work surface with flour, and turn out the dough. Knead briefly, and form the dough into your preferred shape. Place it on the baking sheet seam-side down, and cover with plastic wrap. Set aside to rise until doubled, about 30 minutes. When the loaf has doubled in size, slash as desired and bake at 350 degrees until nicely browned, about 40 minutes. Let cool completely on a rack before slicing. Place a baking stone or cookie sheet in the oven and preheat the oven to 450 degrees. Dust your work surface with flour, and turn out the dough. Knead briefly, and divide the dough inot 8 equal pieces. Roll each piece into a disk about 5 inches in diameter. Top with corned beef, sauerkraut, and Swiss cheese. Bake at 450 degrees on the baking stone until the flatbreads are browned and the cheese has melted. Serve with Thousand Island dressing as a topping. You can also bake the flatbreads without any topping. Bake for about 4 minutes, until lightly browned. I'm back with another question :o) I hope you don't mind. Is Pumpernickel Rye Flour different than Rye Flour? Thanks! There's no "legal" definition for pumpernickel flour, but generally is more coarsely ground with more of the germ and bran of the rye. I buy mine from King Arthur Flour, but you can use any rye flour you can find. I know some stores don't have a lot of options when it comes to rye. Thank you. I currently have a stash of Hodgon Mills Rye Flour in the freezer. I will give it a try. I definitely want to try this recipe! Do I need to make any high altitude adjustments or are they already included (I noticed you live in CO)? Thanks! You'll be just fine at high altitude. I really don't see a huge difference in breads up here - I moved from sea level about 13 years ago. The difference is that things rise faster and higher up here, but if you're paying attention to what the dough looks like and feels like, you'll be in fine shape.